We realize that emergencies don't always happen during business hours. 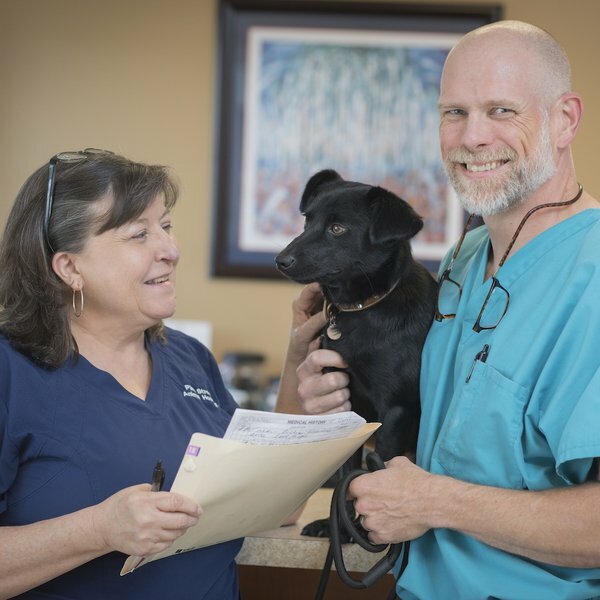 Pine Street Animal Hospital is open until 10 p.m. Monday through Friday in our downtown Spartanburg vet office to assist you with any after-hours care that your pet may need. Pine Street Animal Hospital's compassionate veterinarians and staff work to provide the highest standard of care in often stressful situations. Pine Street Animal Hospital is available for routine and emergency care Monday through Friday from 7:30am to 10:00pm. If possible, before bringing in your cat or dog, call 864-585-0231 for assistance. We will do our best to accomodate emergency situations during our office hours. Should your pet require emergency care outside of our Monday - Friday availability, please contact one of the 24-hour emergency veterinary care providers in the Upstate.